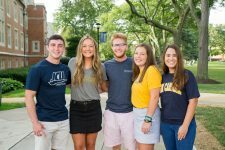 John Carroll has four highly-competitive signature programs inspired by our University Learning Goals. 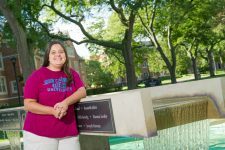 These programs come with an annual scholarship up to $5,000 and require coursework and meaningful experiences. Students in these programs also have the opportunity to join the Signature Program Living-Learning Community. Do you want to take a more active role in your learning experience? 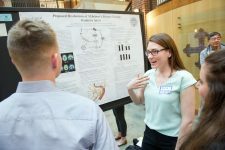 The Honors program seeks students who will cultivate and share their intellectual gifts and love for learning with others. Do you want to be a change agent and have a positive impact on the John Carroll community and world around you? 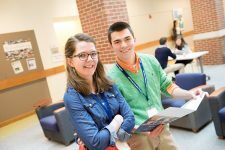 The Leadership Scholars Program focuses on helping you become a person of remarkable character who, through the Jesuit tradition of servant leadership, can become an agent for transformative change. Our newest program, starting in fall 2019, SIF is dedicated to creating social innovators and entrepreneurs who are inspired by Ignatian values – rigor, generosity, gratitude, inclusivity, solidarity, and a desire for the greater good. We’ll challenge you to grow your entrepreneurial mindset, curiosity, and desire to experiment while you actively engage with the community to understand problems citizens face and build sustainable solutions. You’ll become a catalyst for social innovation and entrepreneurship across the JCU campus and around the world. The signature scholarship can be added to any merit-based scholarship award.